Flavor Profile: A bright and juicy coffee with flavors of fresh honeydew and cantaloupe supported by sweet dried fruits, coconut water, and cream. 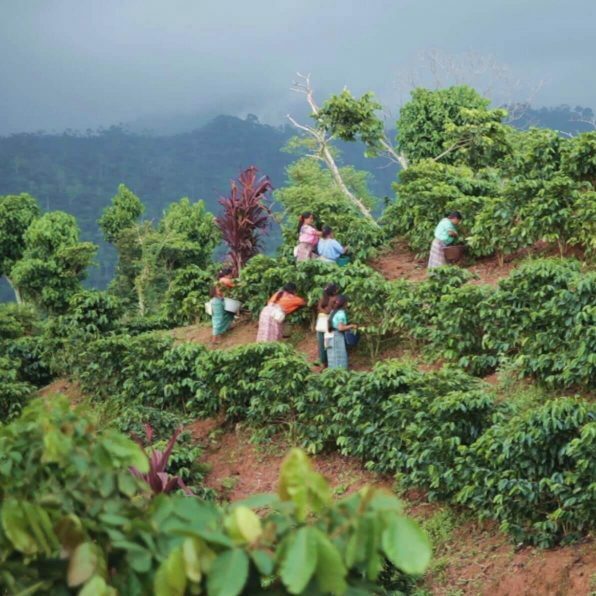 Finca El Platanillo is a family run farm in operation since 1977. A strong focus on environmental stewardship has led to both Rain Forest Alliance and Climate Friendly certifications. The farm also founded the Nuevo Platanillo school to provide internet access and computer education to children in the community. Natural processed pacamara varietal dried on raised beds. 1000-1450 masl.